Beyond Bikram is the only Hot Yoga studio in Southern California to host an herbal infused steam room. Research has shown that as the sebaceous glands open, sweat helps to detoxify the body. Intense sweating happens in the Hot Yoga Room, however you are invited to enjoy the steam gently before class. Sweat aids the kidneys in removing toxins from your bloodstream. Herbal infused steam helps to accelerate the opening of pores whilst the therapeutic properties of the steam room relax and center the body. At Beyond Bikram, the cold-pressed juice served is made with a hydraulic press, a process that that uses thousands of pounds of pressure to extract the maximum amount of liquid from fresh fruits and vegetables. 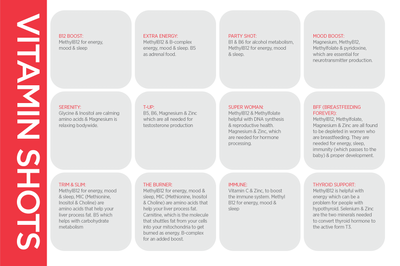 No additional heat or oxygen is used in the process, upon consumption you receive 100% of the vitamins, minerals, enzymes, and nutrients. Cold pressed juice both before and after class is the perfect supplement considering the average practitioner burns 750-800 calories in an Indoor Cycling class and 1000-1200 calories during a Bikram Yoga session. Our daily routine most of the time leaves us needing a little extra. There is no debate the food we eat should provide our daily nutritional vitamin intake however extenuating circumstances can sometimes exhaust and tax our bodies. Food and medications such as multivitamins or supplements most of the time must be chewed and swallowed. They then pass through our esophagus and the stomach where the gastric acid in the begins the breakdown. The small intestine begins the digestive process. Enzymes provide a further breakdown which eventually results in amino acids (the building blocks of proteins). The small intestine begins to absorb these amino acids, and passes them into the blood where they are carried to the liver; throughout this process many times nutrients are compromised. 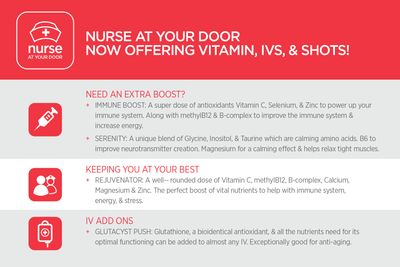 IV vitamin therapy is an effective and efficient treatment at replenishing vitamins and minerals because it bypasses the digestive system, allowing for 100 percent absorption; an excellent and safe way to support your body’s natural immune system by giving it an extra boost. 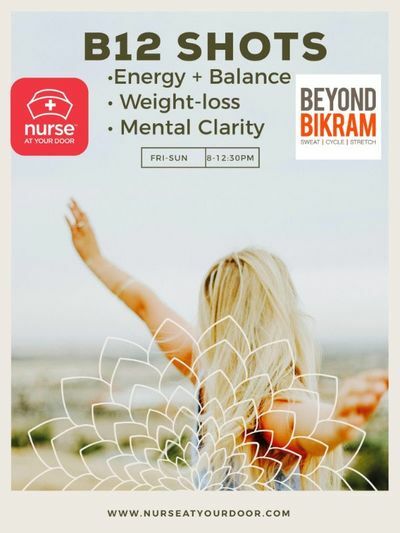 Nurse at Your Door is the in house provider at Beyond Bikram. Founder Susan Dost and her staff are on site to administer Hospital Grade supplements while answering your questions and concerns. Feel free to stop by our front desk to schedule an appointment. True healing takes place from the inside to the outside, bones to the skin at Beyond Bikram. While you are empowered to heal your body both mentally and physically, part of the self-care is taking the time and enjoy the fruits of your labor! Our Beyond Body Clinic will help you to do just that. Whether it be a stretching, massage, alignment, or reiki session you will find a pronounced difference in your overall well being. Classes, steam, and showers are included with each session attended.